The unit of power is the Watt(W). Power can also be expressed in volt amps (VA) usually in Alternating current systems. In a D.C system, the current and voltage do not vary over time. Hence the product of voltage and current gives us power in Watt. The connection in Figure 1a above is known as a delta connection, because the diagram bears a close resemblance to the Greek letter, Δ, called delta. The other connection style in figure 1b is known as the star or wye connection. The wye differs from the delta connection in that it has two phases in series. The common point “O” of the three windings is called the neutral because equal voltages exist between this point and any of the three phases. This point is commonly grounded. Typically, transformers, motors and generators can be connected in either Wye or Delta configurations. 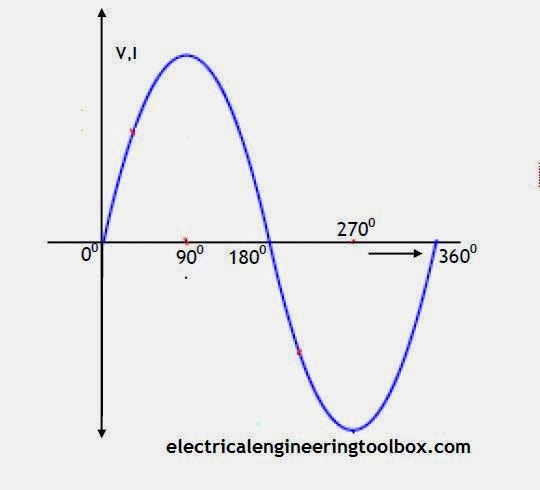 So knowing the line voltage and line current in any 3-phase A.C circuit and the power factor , the power delivered into the system can easily be calculated.